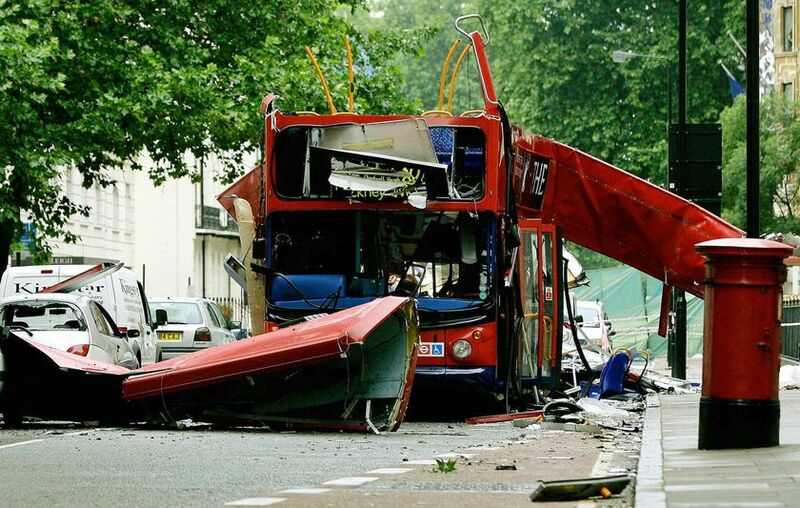 On 7th July 2005 a series of coordinated suicide bombings took place on London’s public transport system during the morning rush hour. 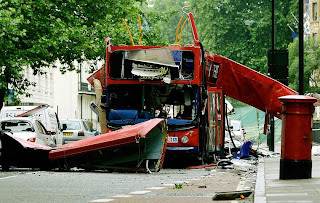 At 8:50, three bombs exploded within fifty seconds of each other on three London Underground trains, a fourth exploding an hour later at 9:47 on a number 30 double-decker bus in Tavistock Square. The explosions were caused by hand-made devices, packed into rucksacks and detonated by the bombers themselves, all four of whom died. 52 other people were killed and around 700 were injured. Widowed Guernsey farmer Elisabeth Somers is watching the BBC news while she has her breakfast and see’s the devastation caused in the aftermath of the London bombings. She telephones her student daughter Jane to make sure she is ok, there’s no replay and after two days of trying she decides to travel to London to personally search out Jane and make sure she’s ok.
Ousmane, an elderly Malian forester working in France is asked by his African based estranged wife to travel to London to look for their son Ali, a lad that Ousmane has not seen for 15 years and has no idea what he looks like. Arriving in the Blackstock Road area of North London he contacts the local Mosque to find out his sons address. London River (2009) portrays the devastation that an act of gross terrorism can wreak on ordinary people from all walks of life and religion. A film not only about loss but also about discovering something deep inside us that we did not necessarily know we had. Directed by Franco/Algerian Rachid Bouchareb who was also responsible for Days of Glory (2006) an honest film that dealt with the discriminatory treatment of colonial North Africans by the white French during WW2 and led to a change in French government policy some sixty years later. The superb Brenda Blethyn was approached by Bouchareb to play Elisabeth Somers on the back of her award-winning role in Mike Leigh’s Secrets and Lies (1996). Sotigui Kouyate, a poet, praise singer and musician plays Ousmane, winning a Silver bear at the Berlinale Filmfestival for his acting but who unfortunately died in Paris before the film was released in the United Kingdom. This elegant actor has more character in his features than many films have in there complete cast list. This wonderfully acted story is a credit to everyone involved and will probably never receive a release or the credit it deserves which is a great shame.